Dark times are imminent: the king’s abduction throws a once peaceful land into turmoil. Being the chosen one elected by the king himself through one of your dreams, you embark on an adventurous journey to free him from the hands of the evil duke and go down in history as the kingdom’s greatest hero. 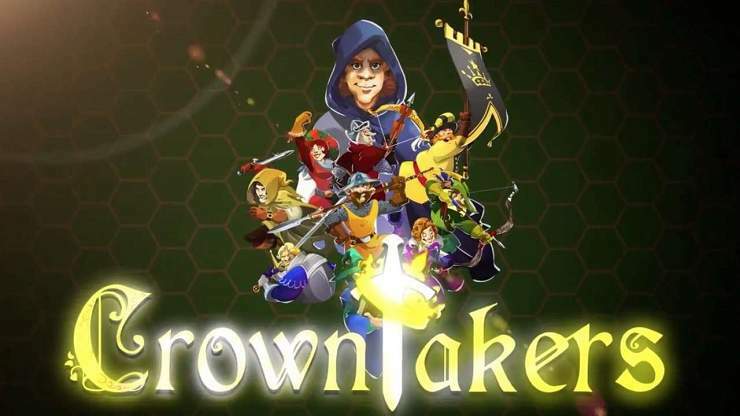 But time is of the essence… Crowntakers combines turn-based strategy with RPG elements and takes you at the behest of the crown into a medieval fantasy world full of challenging encounters and epic adventures. With its randomly generated world, Crowntakers offers a varied gaming experience every time you set out to fight evil. As a hero on a mission, you’ll have to assemble a group of brave mercenaries to take on cruel enemies like barbarians, ferocious animals or deceitful thieves. Embark on challenging quests, gather vital resources and finally banish evil from the world. Features: Roguelike turn-based strategy meets RPG in a beautifully created fantasy world. On every game start the world is rebuilt with different environments and encounters; encouraging players to try different strategies. More than 4 diverse and procedural environments ranging from mountain passes to shadowy castles. Hire 9 individual mercenaries to take on bandits, wildlife and malevolent knights on a hexagonal battlefield. Utilise the unique class skills of the archer, wizard, scout and others. Gather resources, level-up your companions, collect mighty equipment and consume helpful potions to survive until your quest is complete. Trainer for the game Crowntakers, you can use it to activate these essential Cheat Codes: Infinite Health, Infinite Movement, 100% Critical Rate, 100% Dodge Rate, 100% Accuracy, Never Exhasted, Infinite Gold, Infinite XP, Infinite Upgrade Points, One Hit Kil, Enemies Cannot Move. Note: This cheat tool is for the original version v1.1 of the game Crowntakers.